Carpenter Technology Corporation has signed a lease renewal for 95,499 square feet in the industrial building located at 9784 Commerce Cir. in Kutztown, PA. The Kenco Building totals 95,499 square feet in the Lehigh Valley industrial submarket. It was developed by The Northwood Company in 2000, within the Arcadia West Industrial Park. Seymore Rubin Associates has sold five office and industrial buildings in Philadelphia, PA to Arts & Crafts Holdings for $36 million, or approximately $159 per square foot. The deal totals 226,715 square feet and includes the properties at 444 N. 3rd St., 461 N. 3rd St., 854-856 N 3rd St., 600 Spring Garden St. and 827 Spring Garden St. These five properties were constructed between 1915 and 1965 and measure between 8,000 square feet up to 160,000 square feet. 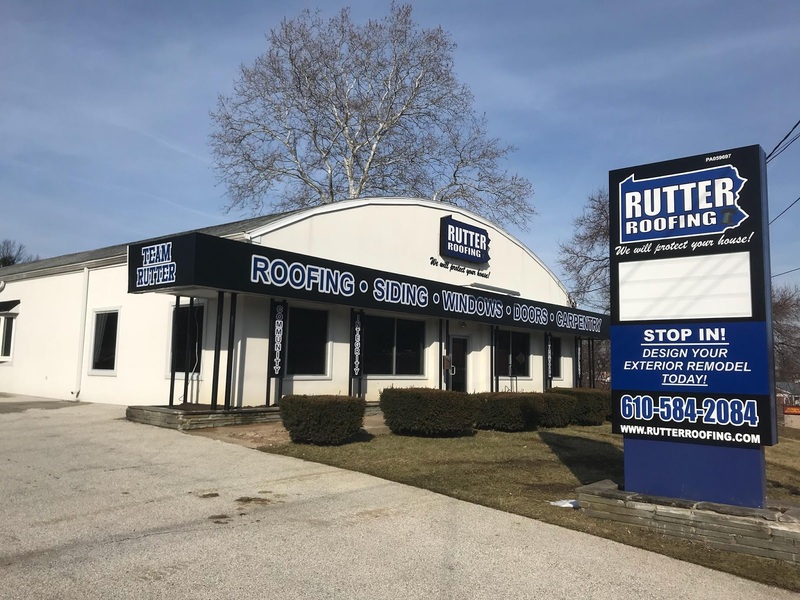 Rutter Roofing purchased 345 Lancaster Avenue Malvern, PA. This is a 10,420sf free standing retail/office/flex building. Rutter Roofing plans to relocate their head quarters to this location. Joe O’Donnell from OMEGA Commercial Real Estate, Inc. represented Rutter Roofing in the transaction. This portion of Lancaster Ave great exposure with overs 20,000+ car per day. Rutter Roofing is a full service roofing company, whose goals are driven towards hard work, accountability, and second to none customer service. Services include: 24/7 emergency maintenance, asphalt roofing, slate/tile/copper, flat roofing, skylights, sun tunnels, doors, gutters/downspouts, repairs/leaks, soffits/trim, insulation, siding and windows. Rutter Roofing has been granted the CertainTeed SELECT Shingle Master certification which is designated to only 1% of roofing companies in the United States. 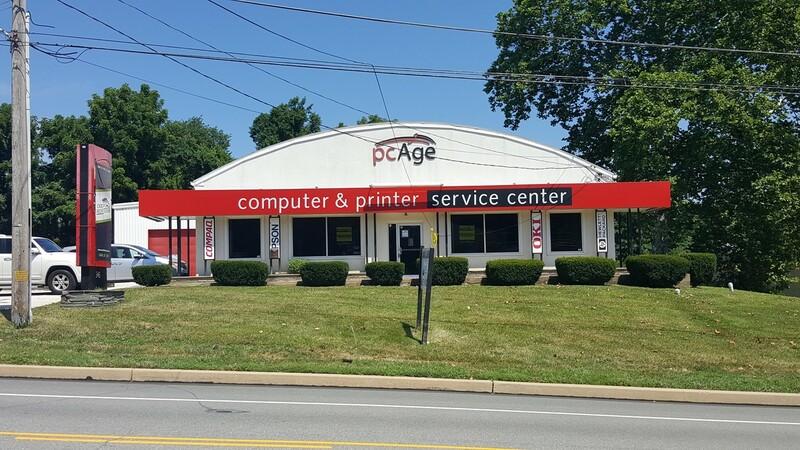 The company has been named best of the Main Line by the readers of Main Line Media News, a super service award winner through Angie’s List, and has been named to the Philadelphia Top 100 List of Fastest Growing Companies. Cory has been named Emerging Leader of the Year (2011) by The Main Line Chamber of Commerce and a 40 under 40 (2014) by the Philadelphia Business Journal. Thor Equities made its entry into the Philadelphia market, acquiring a three-story office condominium at 907 Market Street for $41.8 million. The 214,000-square-foot property sits above the former Gallery mall being redeveloped by PREIT into Fashion District Philadelphia. The office complex is fully leased to Health Partners Plans, a not-for-profit health maintenance organization serving more than 280,000 members in Southeastern Pennsylvania. “907 Market Street is a high-quality asset located in the heart of Market East, the fastest growing neighborhood in Philadelphia’s burgeoning City Center district,” says Joseph Sitt, CEO of Thor Equities. Retail, residential and office development projects in Market East also include East Market and the Lits Brothers Building. Scheduled to open in the fourth quarter of 2018, Fashion District Philadelphia will be the largest retail development in downtown Philadelphia, encompassing 840,000 square feet of shopping, food and entertainment destinations including an eight-screen AMC Theatre, Century 21, and the largest H&M in Philadelphia. The property also provides direct access to SEPTA’s Jefferson Station, and is within walking distance to Reading Terminal Market and the Pennsylvania Convention Center. Confirmed East Market retail tenants include an Iron Hill Brewery & Restaurant, City Fitness, Columbia Sportswear, T.J. Maxx/Home Goods, and Federal Donuts. The mixed-use project will also include 175,000 square feet of office space, and 322 residential units. Thor Equities also owns properties in New York, Washington, DC, Miami, Chicago, Houston, San Francisco and Los Angeles, and in Europe, Canada and Latin America. Investors have abandoned REITs space on rising rates: Expert from CNBC. Harrisburg-based Commonwealth Cornerstone Group completed a $10.5 million New Markets Tax Credit financing transaction for construction of a four-story building that will create a hub for retail and community services for distressed communities in west Philadelphia. New Market West is a 135,700-square-foot building that will be constructed on a 1.5 acre vacant lot at 59th and Market streets. The building will bring high quality early childhood education; workforce development, educational and emergency support services; behavioral health services; and community-serving retail to this transit-accessible location. The development is a joint venture between Mission First Housing Group and Horizon House. It’s a new day on Market Street in West Philadelphia. Two nonprofit organizations embarked Friday on a nearly $50 million project to build a four-story community services and retail complex on an underutilized and vacant city block at 59th and Market streets. The project, New Market West, will create 137,700-square-feet of space in a building spread across the 1.5 acre property. Currently a garbage-strewn lot with a parking lot, an abandoned house and gas station occupy the space. The complex will provide space for early childhood education, workforce development, and educational, emergency, behavioral health services. A second phase of the project is expected to construct more than 40 units of affordable housing in a separate building, which will cost an additional $15 million. The joint venture between Mission First Housing Group, which develops and manages affordable housing projects, and Horizon House, which provides community-oriented services, broke ground on Friday during a ceremony that which was attended by Gov. Tom Wolf, and city and state representatives. The project will have an “outsized impact on this community” and “turn this vacant lot into something that is actually a prize of the community, a centerpiece,” Wolf said as he spoke to the gathering over the noise of passing El trains chugging along on the Market-Frankford Line. Jones noted that although SEPTA’s renovation of the Market Street elevated train was necessary, the decade worth of construction resulted in numerous businesses closures that still affect the area today. But the new project’s will revitalize the area, Jones predicted. “We’ve turned a corner. We’ve planted our flag today: That our vision for our New Market West is here,” Jones said. Jeffrey Wilush, president and CEO of Horizon House, said the organization will move its offices from its current location at 120 S. 30th St. to New Market West, along with upwards of 300 staff members. Wilush added that many of the clients Horizon House serves already live in Haddington and Cobbs Creek. Additional committed tenants complex include Montgomery Early Learning Center and ACHIEVEability, an organization that supports home-ownership for low-income, single parents and the homeless. The property on Market Street is bordered by 59th and Salford streets. The building’s top floors will feature upwards of 90,000-square-feet of office space and a rooftop green space; retail stores will be at street-level. There will also be approximately 80 parking spaces located in an underground parking lot. Outside, there will be a piazza as well. Officials estimate that the project will create 120 temporary jobs during construction, and create nearly 100 full-time jobs. The project will benefit from a $5 million state grant and $10.5 million in state tax credits. The first phase of the project is expected to be completed by the fall of 2019. The developers continue to seek financing for the second phase of the project, which includes a second building for affordable housing units. The second phases will cost an estimated $15 million. Alfredo de la Pena, CEO of Mission First Housing Group, said the project’s location — just steps away from 60th Street Station — was invaluable, and the property will be spared from any future gentrification. Among those at the ceremony were community members who had varying opinions about the project. Longtime resident Kathryn Huggins, 71, supported the project, adding that the block has been an “eyesore” for decades. But Lowell Wilson, 43, was skeptical of the project’s promises. Although he supported the project overall, he was taking a wait-and-see approach to determine whether those in the neighborhood will see any benefits. “I think it’s good for the community if it’s going to actually support jobs for the community,” Wilson said. “I’ll have to see what it actually provides." Plans are underway to develop a vacant property at 1499 S. Christopher Columbus Blvd. Nationwide private lending firm Silver Arch Capital Partners announced today the closing of a $15 million land loan for two of the site’s six parcels. The borrower used the loan proceeds to purchase the waterfront property, known as 1401 and 1401 R-S Christopher Columbus Blvd. A mixed-use development is planned for the 22.39-acre waterfront area. The proposed site plan includes the construction of up to 235 luxury townhomes along the scenic Delaware River, boat slips for owner’s watercraft, outdoor recreational activity and a riverfront cafe. The vacancy rate for the Philadelphia MSA apartment market increased to 3.9 percent in the fourth quarter of 2017, due in large part to the addition of 4,040 new units in 2017. The commercial real estate services firm’s Philadelphia research team released its fourth-quarter 2017 Multifamily Marketbeat report for the region, which forecasts strong construction activity and positive absorption to continue throughout 2018. Average asking rental rates increased by four percent year-over-year, to $1,290 per unit, vs. $1,241 at year-end 2016. Effective rents for the fourth quarter also increased from $1,220 in 2016 to $1,246 per unit, a 2.1-percent increase year-over-year. In Center City Philadelphia, the vacancy rate declined to 7.6 percent in the fourth quarter of 2017, down from 9.4 percent in the second quarter of 2017 and nearly three points down from 10.3 percent in the fourth quarter of 2016. Center City’s asking rental rates increased to $2,185 per unit, a 1.4-percent increase from the fourth quarter of 2016 when the asking rate averaged $2,155 per unit. Despite the increase in asking rents, effective rents declined by 4.7 percent year-over-year to $2,018 per unit, down from $2,118 per unit a year ago. Class A product also saw a 0.2-percent decline in asking rental rates in 2017, from $2,446 per unit year-end 2016 to $2,441 year-end 2017. “While we expect construction activity to remain strong throughout 2018, look for a considerable dropoff by 2019 and 2020." Despite the large amount of new construction projected to come online in 2018, vacancy is forecasted to increase by only 20 basis points and absorption is expected to remain positive with 3,143 units to absorb by year-end 2018. Both asking and effective rental rates are forecast to increase in the Philadelphia MSA by 3.5 percent and 2.6 percent, respectively. CBRE Global Investors has tapped brokers out of CBRE’s Philadelphia office to market the 553,349-square-foot 1650 Arch office building to prospective buyers. The property is being listed without an asking price. 1650 Arch is a 27-story Class A high-rise that includes office and retail space. It was designed by Mitchell/Giurgola Associates and was built in 1974, and renovated in 2001. The building is located in the Market Street West submarket. CBRE Global Investors acquired the building in 2015 for $70 million. Currently, 1650 Arch is 93% occupied by tenants such as the U.S. Environmental Protection Agency (EPA), JLL and other major tenants. Robert Fahey and Jerome Kranzel of CBRE will market the property for sale. XPO Logistics Supply Chain Inc. has signed a 91-month lease, starting August 2018, for the in-development, 805,600-square-foot industrial property rising at 100 Carolina Way in Carlisle, PA. XPO Logistics will utilize the entire building. Liberty Property Trust broke ground on the distribution building in October 2017 on 63.4 acres in the Harrisburg Area West Industrial submarket of Cumberland County. When it delivers in August 2018, the property will feature abundant auto and trailer parking, 168 loading docks and two drive-in bays, 40-foot clear heights, seven-inch floors, 56-foot column spacing and building signage. For Liberty Property Trust, after more than four decades, it’s time to move on from Great Valley. A planned move to a modern headquarters in Wayne comes as the company plans to shed its remaining office properties in the Great Valley Corporate Center it established. Liberty has essentially completed transforming itself into an industrial real estate investment trust with a smattering of urban holdings. “The company has pretty significantly changed over the years,” said Bill Hankowsky, CEO of Liberty. Though its roots lie in developing industrial space in South Jersey, Liberty has long been associated with Great Valley after its predecessor company, Rouse and Associates, established the place name for the area along the Route 202 Corridor in Malvern in 1974 and went onto build a business primarily based on suburban office properties. In the years since, Liberty has evolved. It took on urban development. It doubled down on industrial space. It moved on from owning suburban office space and is now a $9 billion real estate company with 100 million square feet of space across the United States and United Kingdom. The company has decided to relocate its headquarters to 650 E. Swedesford Road, a four-story building totaling 100,000 square feet in Wayne, Pa. It’s a building Liberty owns and was substantially vacant as a result of the departure of a tenant. The company has launched a $12 million redevelopment of the property and will house its operations on the fourth floor, which totals 25,000 square feet. Two other tenants occupy space in property and a floor remains vacant. “The location has that Wayne-King of Prussia, live-work-play characteristic that is analogous to what we have done at the Navy Yard and we decided to take that skill set and apply that to a building we own,” Hankowsky said. Royersford Urban Air LLC has signed a 10-year lease for 39,746 square feet in the retail building at 70A Buckwalter Rd. in Royersford, PA. The building is a part of the Limerick Square shopping center, which totals approximately 151,325 square feet. Longview Development built the property in 1996 and has maintained ownership of the asset, managing and leasing the property in-house. Other tenants at the center include Chick Fil A, Wells Fargo and Kids First Swim School. Consolidated Container Company has signed a 10-year lease renewal for its 80,338-square-foot space in the industrial building at 6831 Ruppsville Rd. in Allentown, PA. The Lehigh Valley Distribution Center Bldg. 12 was built in 1987 and is owned by Global Logistic Properties. Consolidated Container Company occupies the entire building. Mapletree Investments, a leading real estate development, investment and capital management company headquartered in Singapore that focuses on growth markets, has purchased the ground lease under the Evo at Cira Centre South student housing building at 2930 Chestnut St. in Philadelphia, PA from Brandywine Realty Trust and Harrison Street Capital for $197.5 million. The 0.3-acre lot is improved with a 33-story, 483,813-square-foot, 5-Star multifamily building that delivered in 2014 as the tallest purpose-built student housing tower in the country. It offers 363 units ranging from studios to four-bedroom layouts for a total of 850 student beds serving both the University of Pennsylvania and Drexel University. Harrison Street Capital acquired the asset (leased fee) from Campus Crest Communities as part of a multi-state bulk portfolio sale for $1.9 billion in March 2016, according to CoStar data. Harrison Street is one of the largest private investors in the student housing market with more than 73,000 beds throughout the U.S. and Europe. Since inception in 2005, Harrison Street has invested $18 billion across its portfolio strategies, including $9 billion across 232 properties in education and student housing assets. McCormick Taylor, Inc. has leased 59,218 square feet in the office building at 1818 Market St. in Philadelphia, PA. The 37-story 1818 Market Street property totals 1.14 million square feet in the Market Street West submarket. It delivered in 1971 and was renovated in 2015. The property is currently owned by Ellen-Deane Cummins, is managed by Shorenstein Realty Services and is leased by Cushman & Wakefield. McCormick Taylor’s lease consists of space on the 15th and 16th floors of the building. Other tenants include American College of Radiology, Beneficial Bancorp and Market Resource Partners, among many others. Fitler Club, a private lifestyle club, has signed a lease for 75,000 square feet in the new office building at 2400 Market St. in Philadelphia, PA. The nine-story building totals 615,481 square feet and is owned by PMC Property Group. It was constructed in 1921, and is currently undergoing renovation, expected to be complete by October 2018. Fitler Club is expected to utilize space on the lower, first and second floors, and will include 14 hotel rooms, event space, fitness center, restaurant and a movie theater. Dover Investors LP sold two apartment buildings at 51 and 255 Webbs Ln. in Dover, DE for $20 million, or approximately $64,000 per unit. The deal totals 312 units across 282,453 square feet. The Alder Park Apartments was built in 1963 and is approximately 159,000 square feet with 215 units. The Pine Grove Apartments was built in 1972 and is approximately 123,453 square feet with 96 units. Kellogg’s has renewed its lease for 1.19 million square feet in the industrial bulding at 400 Nestle Way in Macungie, PA. The lease will keep the Battle Creek, MI-headquartered multinational food manufacturing company in the entire industrial building. It was developed in 1997 by Liberty Property Trust on 83.6 acres in the Lehigh Valley Industrial submarket. Ramping up its transition out of the office sector and into the businiess of owning warehouse and logistics property, Liberty Property Trust (NYSE: LPT) said this week that it hopes to raise up to $800 million for reinvestment into industrial acquisition and development by divesting its remaining suburban office portfolio by the end of the year. "We intend in 2018 to dispose of all of our remaining suburban office properties and redeploy these proceeds into our accretive development pipeline, along with industrial acquisitions within targeted markets," Liberty CEO Bill Hankowsky told analysts in a Tuesday conference call. "We anticipate asset sales of at least $600 million to $800 million." While most of those properties designated for sale are located in the Philadelphia suburbs, "we also expect to take advantage of the market and selectively harvest value," Hankowsky added. Liberty will plow proceeds from the sales into its growing industrial platform, acquiring $400 million to $600 million of industrial properties in target markets and starting up to $600 million worth of development projects, he added. As part of its ongoing shift, Liberty last month sold a 641,000-square-foot suburban office portfolio in King of Prussia, PA in the Renaissance Park corporate center for $77 million. The REIT also disclosed the pending sale of 779,000 square feet of additional office space in the Philadelphia region, with multiple contracts totaling $107 million. Liberty executives said the properties being put on the market include the Vanguard corporate campus, a six-building office complex in Malvern where the REIT is based. The company will also sell its Malvern headquarters and holdings in Tempe, AZ. Liberty plans to hold onto its Philadelphia CBD office assets, including the under-construction Comcast Technology Center and newly build assets in the Navy Yard. Sandler O'Neill REIT analyst Alexander Goldfarb applauded the asset sales, but noted that industrial capitalization rates continue to decrease. "We and others have pressed LPT over the years to exit the capex-intensive and slower-growth office to orient entirely to industrial," Goldfarb said. In late 2016, Liberty sold a nearly $1 billion suburban office portfolio in five markets to a partnership of Horsham, PA-based Workspace Property Trust, Safanad, a Dubai-based global principal investment firm; and affiliates of diversified investment firm Square Mile Capital Management LLC. OptiNose, Inc., a specialty pharmaceutical company, has renewed its lease and added an additional 9,590 square feet at 1020 Stony Hill Rd. in Yardley, PA. The tenant's occupancy there now stands at 30,090 square feet. The three-story office building totals 60,000 square feet and was delivered in 2001 by Berwind Property Group/DeLuca Enterprises. It’s currently owned by Equus Capital Partners, Ltd.
Other tenants in the building include Olson Research Group and Janney Montgomery Scott. The property is located within the Lower Makefield Corporate Center's North Campus. Candlebrook Properties secured a $110 million balance sheet financing for its five-building multifamily complex at 251 W. Dekalb Pike in King of Prussia, PA.
Abe Hirsch, Ronnie Levine and Akiva Friend of Meridian arranged the financing on behalf of the borrower. The 36-month loan, provided by a national debt fund, features a rate of 275 basis points over 30-day LIBOR and full-term interest-only payments. "The quality and location of 251DEKALB dominated our conversations with lenders when we brought this transaction to market and allowed us to achieve a very efficient 36-month loan for this exceptional asset," said Hirsch. Built in 1970 and renovated in 2015, the 651-unit apartment building features more than 800 parking spaces, a fitness center, pool and spa. Candlebrook Properties acquired the complex from Metropolitan Properties of America, Inc. in 2013 for $68 million. T-Mobile, a cell phone provider, has leased 24,112 square feet in the office building at 475 Virginia Dr. in Fort Washington, PA. The three-story building totals 62,498 square feet and was built in 1971, with a renovation completed in 1991. Another tenant in the building is Acclara Solutions, which recently leased 38,717 square feet with plans to move in the first quarter of 2018. With T-Mobile's lease, the office building is now fully leased. The landlord is Intercontinental Real Estate & Development. Introducing Doxel - Artificial Intelligence for Construction Productivity from Saurabh Ladha on Vimeo.